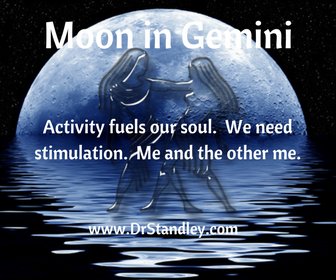 The Moon is in Gemini until Wednesday, August 8, 2018 at 12:01 AM EDT. Next up at 7:28 PM EDT are two different things occurring at the exact same time. How often does this happen? Venus moves into Libra at 7:28 PM EDT and the Sun squares Jupiter at 7:28 PM EDT. Notice that I posted both chart wheels below and you will see both planetary actions occurring on both chart wheels because its the same chart wheel at 7:28 PM EDT, only each chart wheel is titled differently. If you have been keeping up with the August 2018 Astro Memes then you already knew this. 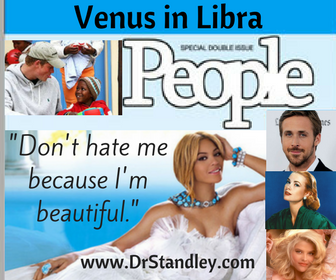 Make certain you click on the Venus in Libra graphic or this link to read more about this wonderful aspect. For many, it will be a relief to see Venus in Virgo move on. Venus in Libra is actually in its Home or Domicile placement. Venus places a HUGE emphasis on relationships and them being nothing but peaceful, workable and happy. Venus in Libra wants to be able to sit on the couch with someone in comfortable silence without the need to answer the question, "What wrong?" Simply put, Venus in Libra wants peace. Venus in Libra says, "Let's all hold hands and sing Kumbya!" Venus in Libra wants a close personal connection with someone that has Loving security and puts the heart at ease. Also occurring at exactly 7:28 PM EDT is the Sun in Leo squaring Jupiter in Scorpio. Do you remember how the Sun trine Jupiter is like the cat that always lands on its feet and always ends up getting what it wants? Well, the Sun square Jupiter does as well but not in the same way, and I mean not at all in the same way. This energy began in applying (approaching) degrees on July 29th, it is exact today, and will last in separating degrees until August 15th. Ohhhh, this aspect is really going to tempt a lot of people with "Ill-gotten gain" as they create all kinds of ways to get their hands on money. This could be out of desperation or greed . . but isn't that all related to fear of lack? The the Sun trine Jupiter is pretty much easy come, easy go, while the Sun square Jupiter is grabbing while it can because of fear that the flow will run dry. LACK! A square to Jupiter behaves as though it is a challenge from Saturn, even though it is a square to Jupiter. This is because there is a lack of discipline and responsibility toward abundance and prosperity. This causes a person to want too much, too fast, without considering the consequences or responsibility of such gain. Because Jupiter is so optimistic and jovial, this square is overly optimistic, which is prone to excessive behavior and can be egotistical. On a positive note, there is the ability to reach goals, which can cause you to take on more than is expected. Still, there is lack of moderation in just about everything and I MEAN EVERYTHING! There is also a lot of the wheeler-dealer going on as it tries to make a buck. At the same time, this aspect knows how to let go and have a Good time. Yee-Haw! The most negative side of this aspect is that self-indulgence may cause physical problems. Food (especially rich foods), alcohol consumption, and pleasure must be moderate and disciplined. Now granted there are going to be plenty of people out there not trying to grab using 'ill gotten gain' but it is likely we will come into contact with someone who is, even if that 'ill gotten gain' individual is not ourselves. So watch for this! The last aspect to occur today is the Moon sextiles the Sun, which is perfect for closing out a day with so much change-in energy and challenge to our abundance. This lunar aspect is tranquil, gentle and non-threatening. This aspect will help you be assertive and present thereby being well-liked. 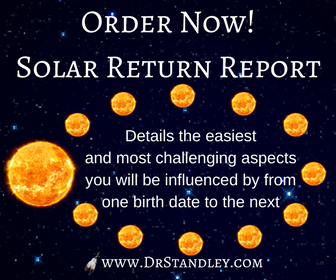 Since this lunar aspect is so welcoming, this is a perfect time to promote yourself using your social media, especially if you have a 'Page' or a 'Website' somewhere. Post away because plenty of people will be up late tonight scrolling the newsfeeds, looking for who knows what. You may as well take advantage of their scrolling eyeballs and promote your business. Remember, there are the 'ill gotten gainers' out there doing the same thing, just make certain you are not one of them or that you do not fall prey to their antics. Got it? Download the 'Venus in Libra' chart wheel here! 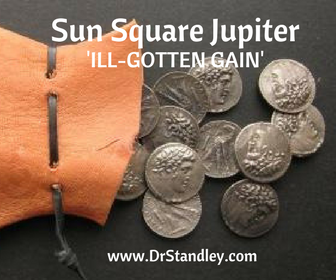 Download the 'Sun Square Jupiter' chart wheel here! The Moon in Gemini trine Mars in Aquarius at exactly 12:08 AM EDT. You will feel this energy within 12-14 hours 'before and after' it occurs. Venus moves into Libra at 7:28 PM EDT until Sunday, September 9, 2018 at 5:26 AM EDT. The Sun in Leo squares Jupiter in Scorpio at exactly 7:28 PM EDT. This energy began in applying (approaching) degrees on July 29th, it is exact today, and will last in separating degrees until August 15th. The Moon in Gemini sextile the Sun in Leo at exactly 10:23 PM EDT. You will feel this energy within 12-14 hours 'before and after' it occurs.